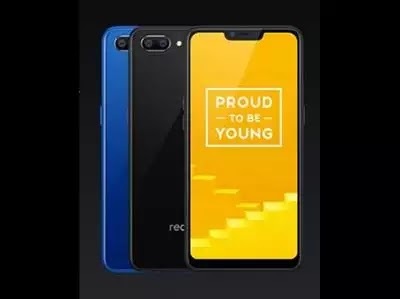 Realme has launched their each and every phone with a polycarbonate body till now. Realme C1 was no exception. It has the same design as the Realme 2 Pro, with a glossy finish and no diamond cut. It makes the phone look a little different from the brand's previous launches. It has a Corning Gorilla Glass 3 protection on the screen and no fingerprint sensor. Realme C1 here comes with the same display we saw on the Realme 2 launched on earlier September. Yes, Realme C1 does have a notch which makes it the cheapest phone in the Indian market to feature a notch in this price range. It has a 6.2" IPS LCD panel with HD+ resolution of 720x1520 pixels. The pixel density here is 271 PPI with 81.2% screen to body ratio. Realme C1 is the lowest priced phone to come with the Snapdragon 450 processor, which is based on 14 nm FinFETT technology and clocked at 1.8 GHz. It has Adeno's 506 GPU support with it that will help for gaming. It comes with the Android 8.1 out of the box but has the Color OS 5.2 skin upon it that can create difficulties while using. In the optics, it has lot more to offer than it's competitors. It comes with a dual rear camera setup in this price segment. The primary one is a 13 MP sensor with f/2.2 aperture and a 2 MP secondary camera which works as a depth sensor. In the front, it has a 5 MP selfie shooter with the same aperture. According to the price, the camera module is just significant in Realme C1. Just like the Realme 2, Realme C1 also comes with a big 4230 maH battery that can go for almost 2 days in a single charge. That makes the phone more value for money product in the price bracket. The other specs are same like the Wi-Fi 802.11 b/g/n, WiFi Direct, hotspot, Bluetooth4.2, and all the necessary sensors. 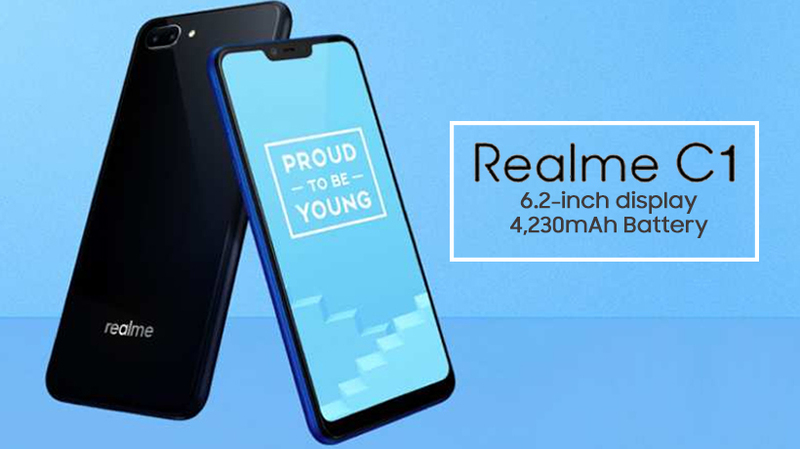 Realme C1 comes in only one variant that is 2GB ram and 16GB internal storage variant. It mostly is the Realme 2 with relatively weak optics section. The all other specs are same between them. But in that price range, this device definite a value for money product and will set up new heights for other brands. Now, why this is better value for money product than the Realme 2 Pro. Well we saw the specs Realme C1 is offering in 7K budget. We have the same polycarbonate design, same 2 MP depth sensor, the Color OS version and the micro USB port. The only differences are in the processors, which is obviously noticable, the notch style, the fingerprint sensor, and the battery which is in favor of Realme C1. You can check the full details of the Realme 2 Pro here and know the difference of competition they give in their price segments. You can also check the drawbacks of the Realme 2 Pro here and decide yourself which one is a better value for money product.